Conveyors - A.G.R. Filtri s.r.l. 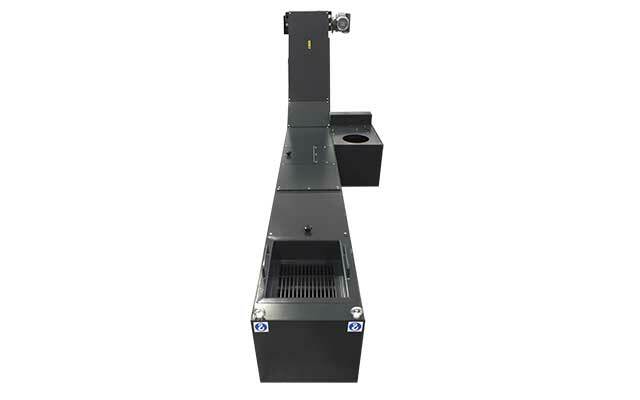 Evacuators / Chip conveyors designed and manufactured for efficiency based on the type of chip, sludge, particles or other material to be handled. TR = Dredge conveyors (short chip, sludge or mud with specific weight that tends to settle). 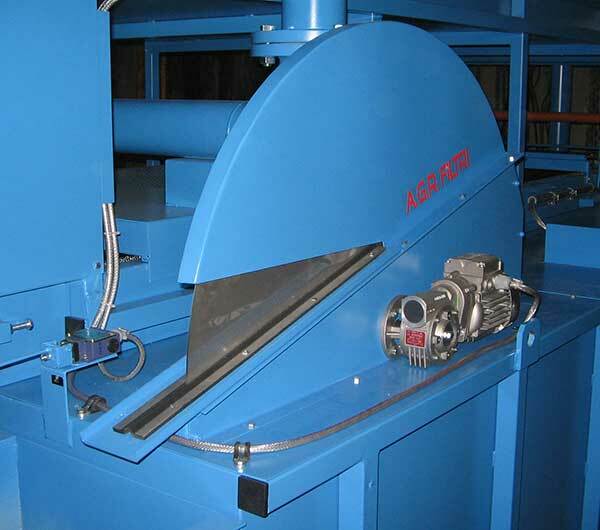 TT = Hinged plate conveyor* (lightweight, shredded chip, long chip and particles of various sizes). 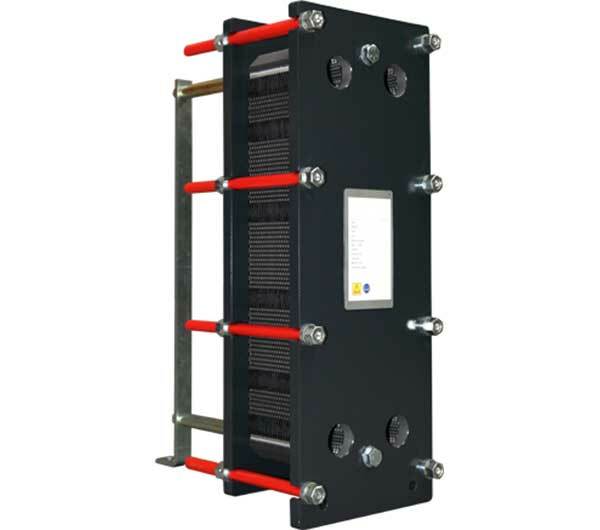 *) there are various types of hinged plates depending on the type of material to convey. **) We use ferrite, neodymium or hybrid magnets customising the TM based on what needs to be handled. Used to evacuate polluting particles of any kind found in the coolant fluids used in lapping operations, machining centres, transfer machines, automatic lathes, etc. Increasingly used to centralise conveying systems, treatment and storage of chips produced in mechanical processing. The choice of conveyor type depends on the type of pollutant. 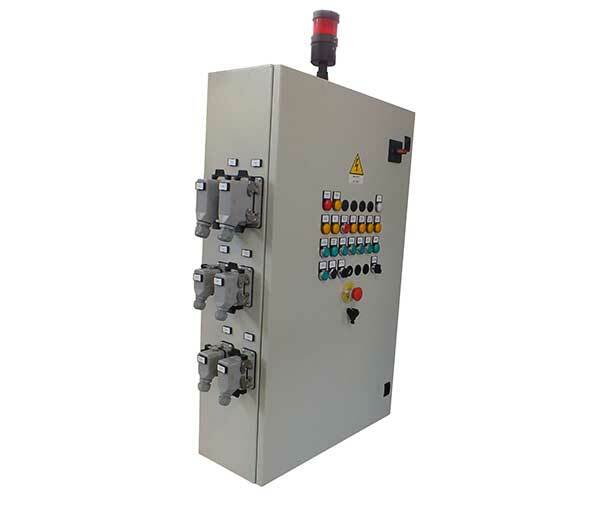 The chip evacuators guarantee partial filtration of the used coolant fluids and can be used together with any type of filtration system to achieve the required filtration degree. 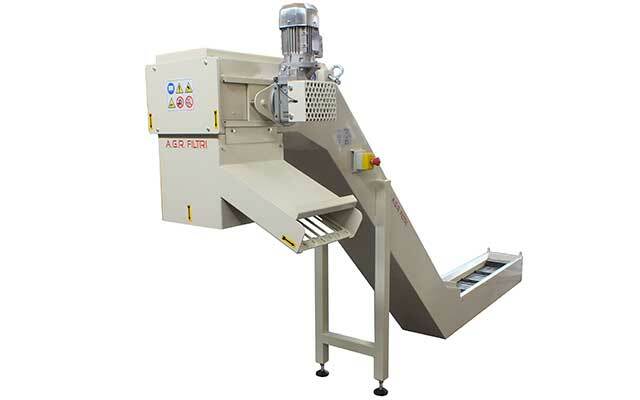 TM Series – MAGNETIC CONVEYORS: Used for ferrous and shredded particles. 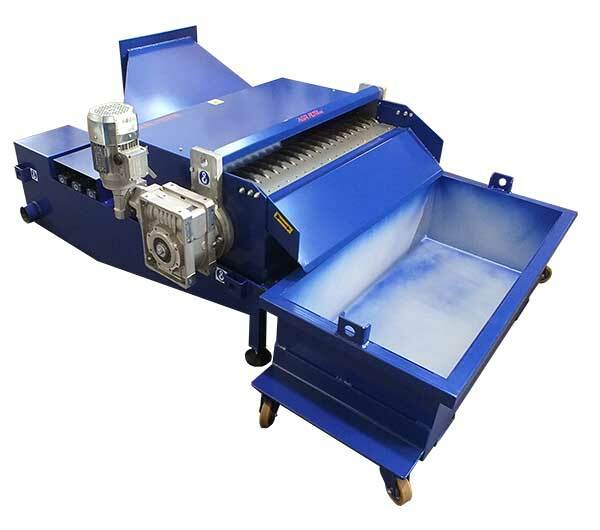 TT Series – SLAT OR HINGED PLATE CONVEYORS: Essential for aluminium and for ferrous, non-ferrous tangled or long curled particles. 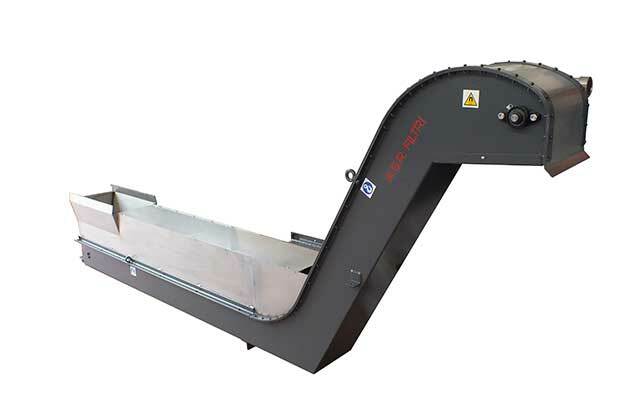 TR Series – DREDGED CONVEYORS: Used for ferrous pollutants and non-ferrous shredded particles. Continuous and automatic operation with customised/customisable cycles. Operation with separation of solid particles from emulsions or oils, both neat and dried. Can be implemented on the flat, with upward movement and/or at various angles (curves). 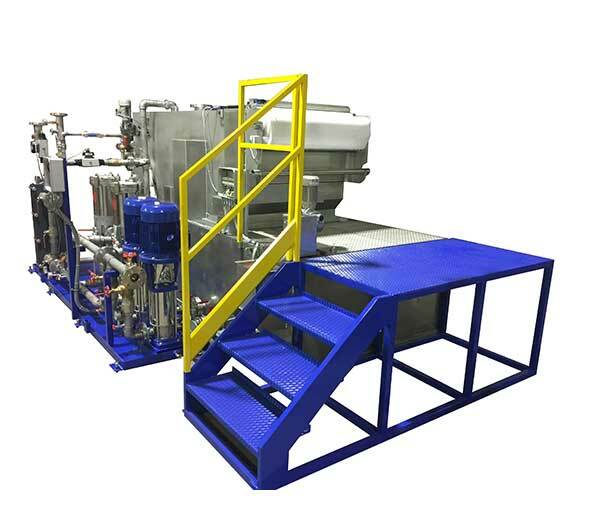 Suitable for removing sludge/chips from inside the base of machines or as a liquid pre-treatment (emulsions or neat oils) before the filtration stage. 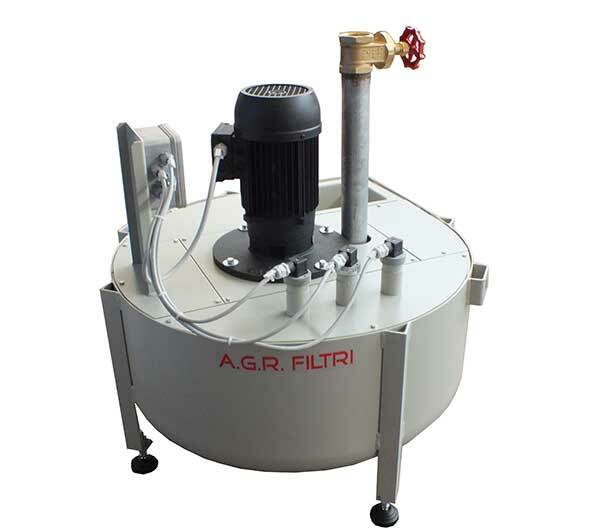 The T Series can be combined with all the other filtration systems produced by AGR.